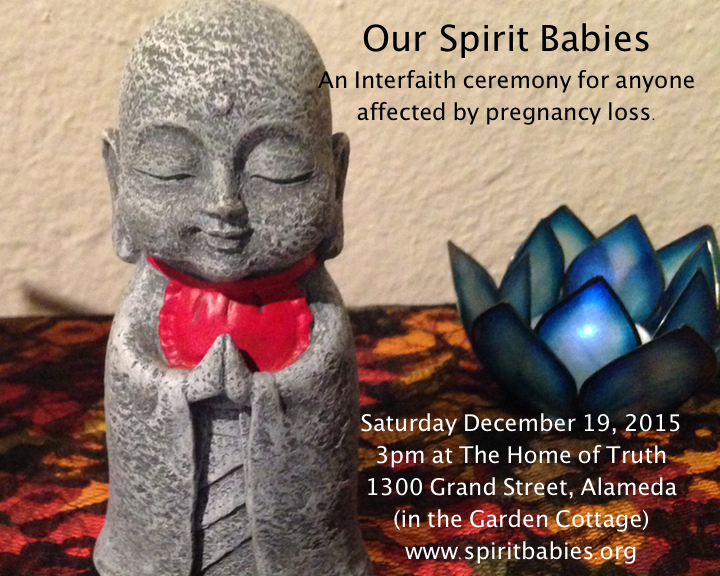 The next Spirit Babies ceremony will take place on Saturday 12/19/15 at 3pm at The Home of Truth in Alameda, California. Please share! ← The Kinda-Quarterly Call for Interviews and Patreon Support!